TILTED AXES DETROIT members Eric Iverson, Patrick Grant, Jude Closson, & Dean Western reform the original WALK THRU WALLS new wave band as part of the DON WAS DETROIT ALL-STAR REVUE 2015 CONCERT on July 12th. This year’s revue honors 80s Detroit radio personality THE ELECTRIFYING MOJO whose on-air journey of musical and social development shaped a generation of music-lovers in Detroit and throughout southeastern Michigan and Canada and was of importance to the development of Detroit techno. 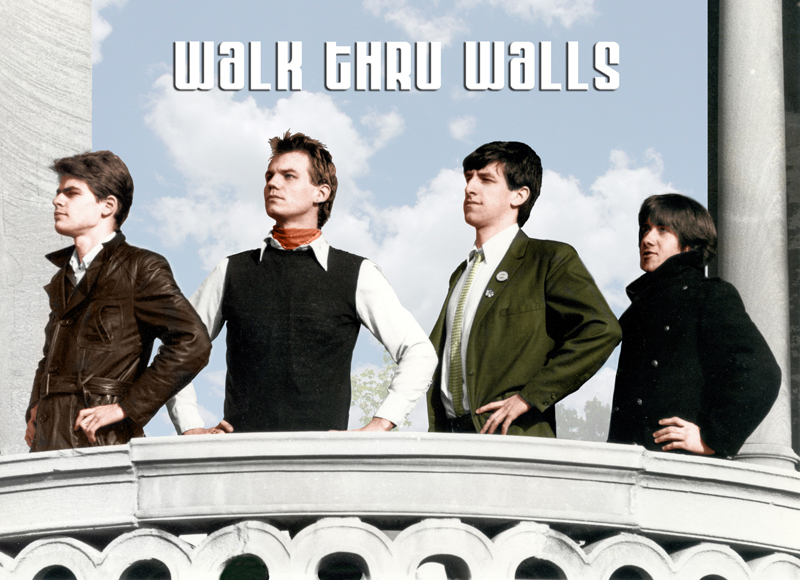 WALK THRU WALLS was a new wave band on the Detroit scene from 1981-1984. The nucleus of the group was songwriters Patrick Grant (synthesizers & vocals) and Eric Iverson (guitar & vocals). Grant is a composer and performer living in NYC since 1985 and is the creator of Tilted Axes: Music for Mobile Electric Guitars. His work history includes John Cage, the Philip Glass studio, Billy Joel & Quincy Jones, avant-garde theatre visionaries Robert Wilson, The Living Theatre, and he is currently an active member in The Orchestra of Crafty Guitarists lead by Robert Fripp. Iverson is an artist, musician, and programmer from Detroit. His other musical collaborations over the years include creating techno music with Ex Machina, making effects pedals with Red Panda, and he is also a founding member and regular performer with the Detroit branch of Tilted Axes. Dean Western (electric bass) has been playing in Detroit bands for over thirty years. He has had the pleasure of working with many creative and dedicated people during this time and is pleased to be a part of this event. Jude Closson (percussion) has played drums and guitar with rock/alternative bands in the Detroit area since the 80s. He started out on drums with new wave group Walk Thru Walls and moved on to many other punk/rock groups and into the present day with Celtic Rock group Bill Grogan’s Goat. WTW thanks everybody involved. 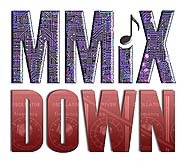 This entry was posted in 1 - MUSIC, 7 - MIXED MEDIA, 8 - MEMORY and tagged CofC2015. Bookmark the permalink.